With ever-increasing globalization, international trade has been branching out expanding itself to all parts of the world. The transfer of goods, services and value depends on communication flow and logistics and are therefore a vital part of our consumer-driven world today. With the aforementioned expansion, and the growing needs of the logistics industry, more efficient methods are in demand to ensure effective value transfer and service delivery. GPS has evolved the way, the world functions. At over 20,000 kilometers above sea level, is a constellation of satellites. These satellites are constantly beaming data down to us on earth, which in turn is received by devices such as phone or navigational units in your vehicles. They further allow you to see where you are on the planet. GPS tracking systems are one of the latest cutting-edge solutions to help keep track of where your boat or vehicle is at all times. Without a suitable GPS boat tracking system, tracking down your boat would be nearly impossible. Boats are expensive assets to their owner or boat enthusiast. And, with the regular boat costing nearly $29,000, security is an important issue for any owner. 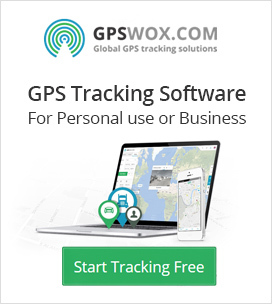 Certainly, GPS tracker offers that security and, is found to be a great tool for theft prevention and recovery because it can identify any unauthorized usage of the boat.